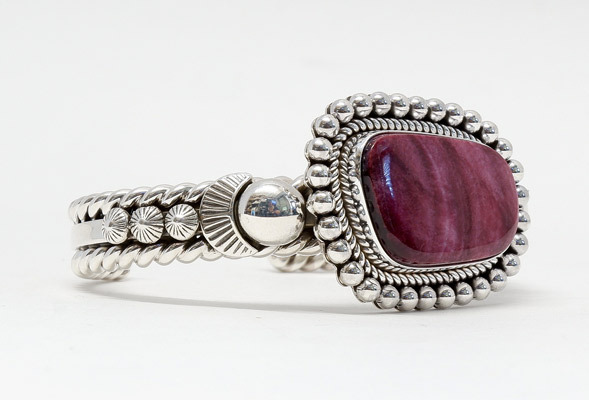 This gorgeous sterling silver bracelet is set with a large purple spiny oyser shell that has been surrounded by twisted wire, heavy rope and hand dropped beads. 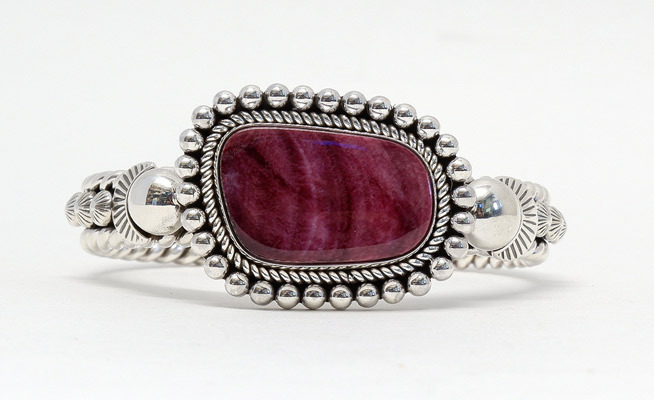 Heavy gauge sterling silver wire makes up the remainder of the cuff. 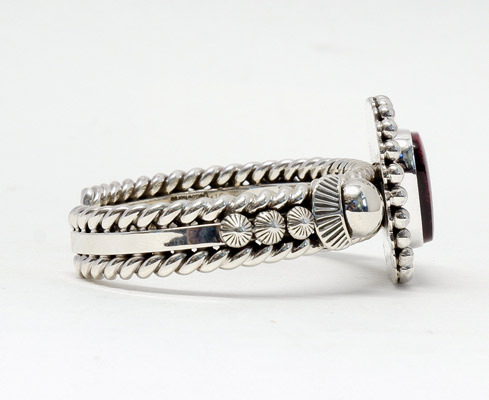 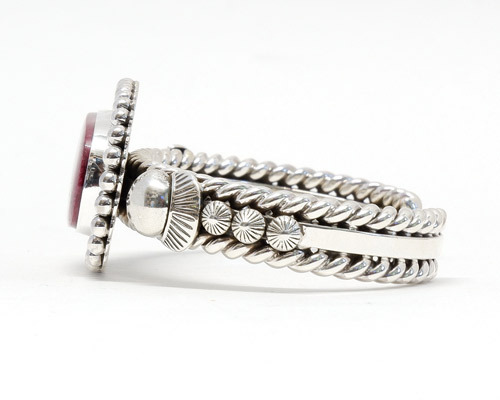 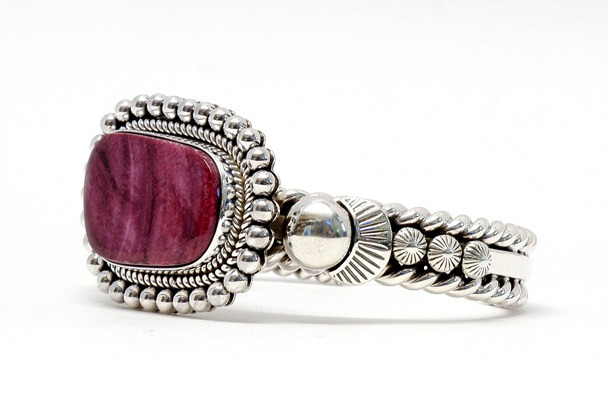 Bracelet size: 6.25 including a 1" opening, Width of center stone setting: 1 1/8", Width of cuff: 3/8"